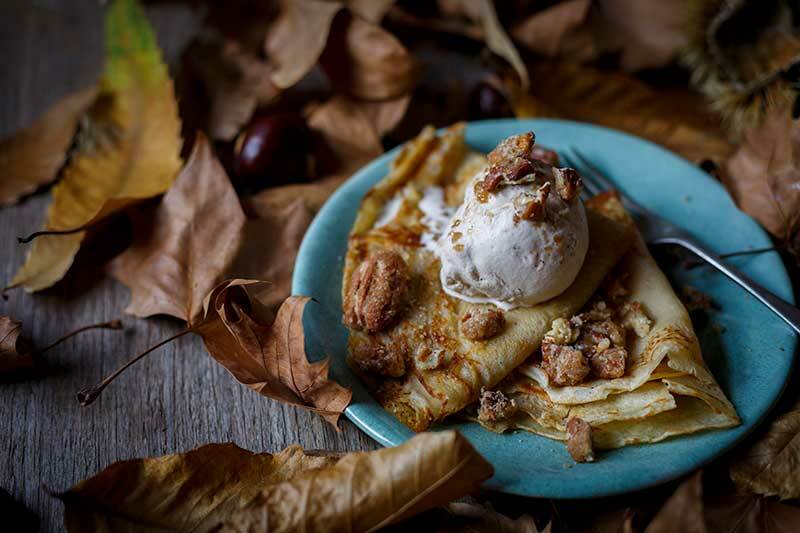 This Sticky Toffee Pudding Pancakes recipe balances effortlessly between being breakfast and dessert. 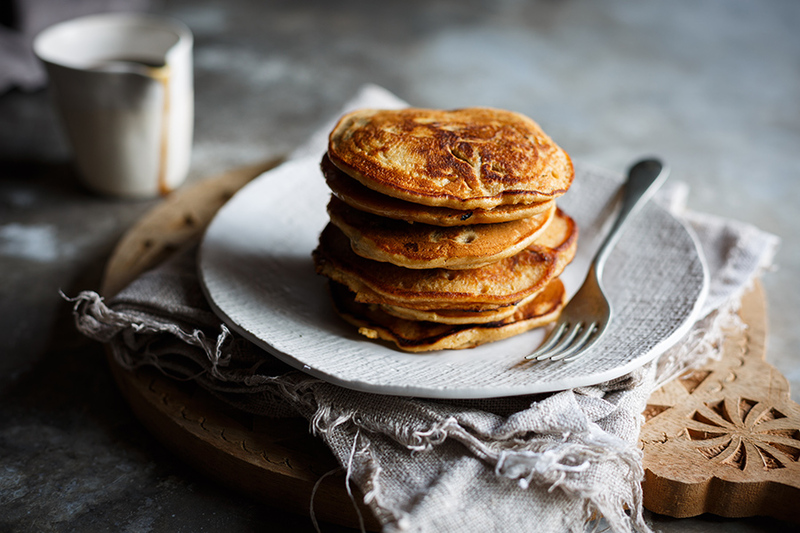 Whether you call them flapjacks (South African), crumpets (if you’re in the UK) or pancakes (if you’re American), around the world we seem to strongly disagree on what exactly they’re named but the one thing we can all agree on is they should be piled high! 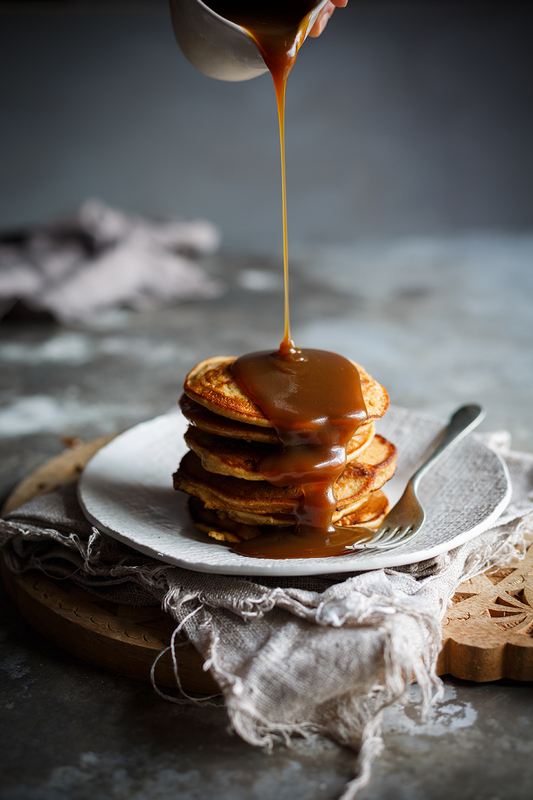 Flapjacks fall within the same category as muffins and waffles – whoever made serving a dessert in the morning socially acceptable, let us know who you are so we can worship at your feet forever! 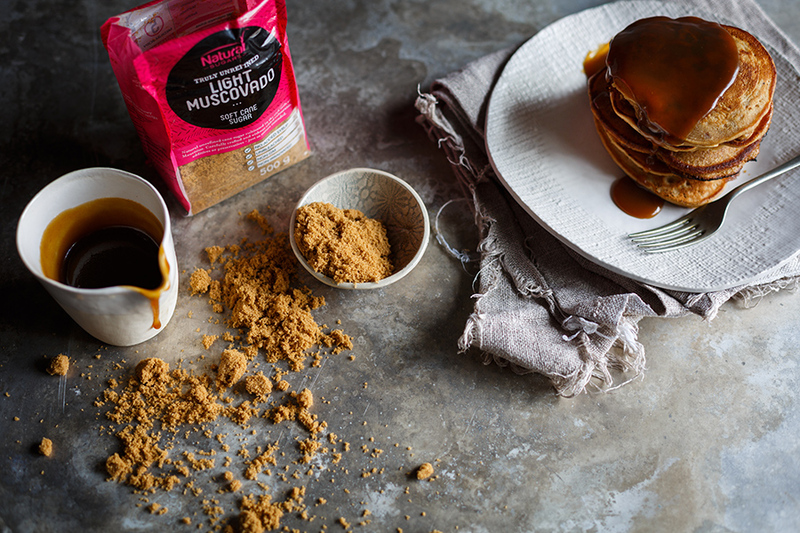 These Sticky Toffee Pudding Pancakes/Flapjacks are inspired by one of my favourite puddings – with a hint of spice and loaded with fresh dates, they’re then covered in what has got to be the best sauce I’ve ever licked off a spoon. 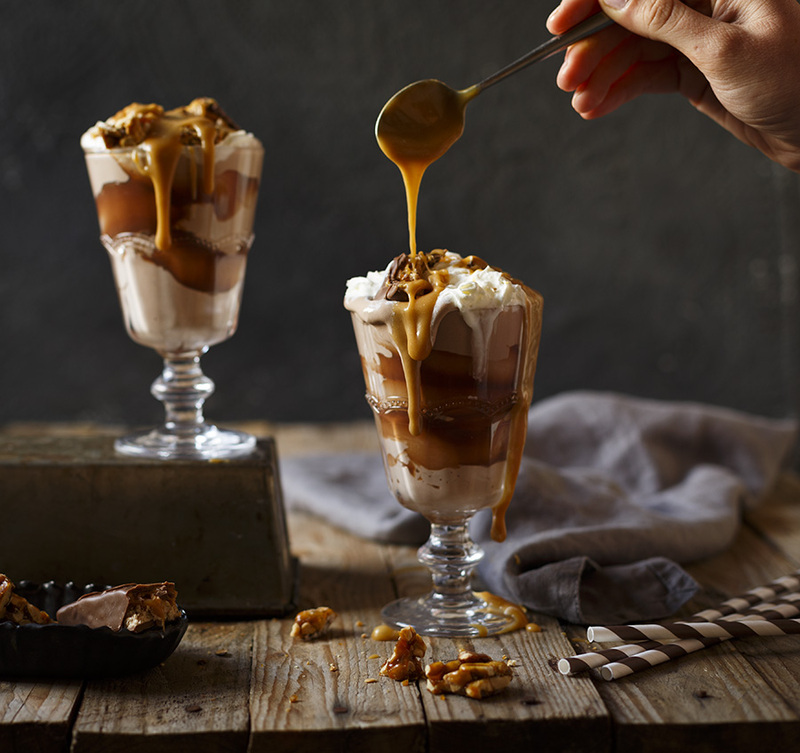 The secret is my favourite Natura Sugars Light Muscovado Sugar which is unrefined (all the goodness of the sugar cane is locked in) so is loaded with flavour – so much so that you don’t even need to caramelize it to develop flavour. 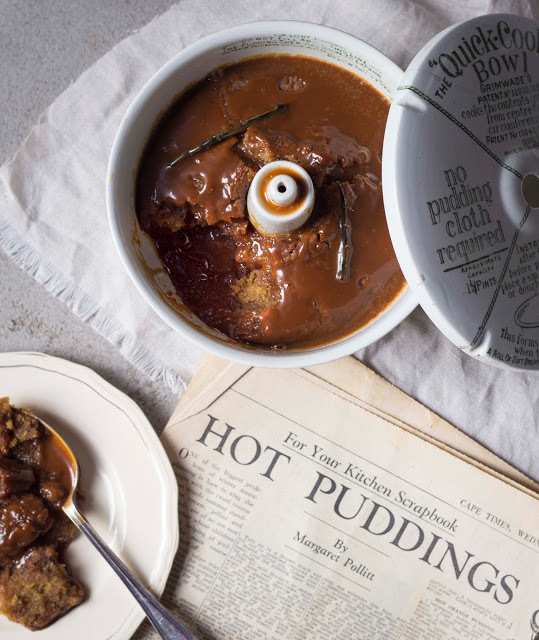 Simply pop the ingredients in a pot (or jug) and heat until dissolved. I’ve got a jar of this in my fridge right now because I swirl a spoonful into my morning oats. Breakfast goals! See some more breakfast goals here and here! 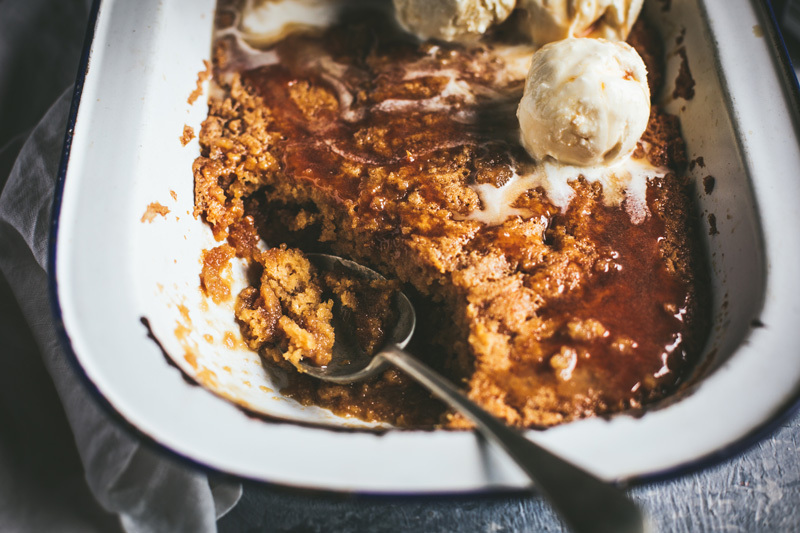 To make the sticky toffee pudding pancakes, mix all the dry ingredients together. Whisk the egg, buttermilk, vanilla and milk and add to dry ingredients. Add the melted butter and dates. The mixture should be of a dropping consistency. Heat a non-stick pan and grease thoroughly. Drop spoonfuls of the batter into the pan. When bubbles start to form on the surface, flip the flapjacks over and cook on the other side for 1-2 minutes. Repeat with the remaining batter. Keep warm while you make the sauce. To make the toffee sauce, place the sugar in a small saucepan with the cream and butter and stir over low heat until dissolved. Increase the heat and boil for 5 minutes or until thickened slightly. Allow to cool slightly.